We recently talked about the trend for big cables and one way to achieve this is using chunky and super chunky yarns. These thicker yarns can also produce interesting lace effects and are great for quickly producing accessories such as hats and scarves or big and bold homewares. 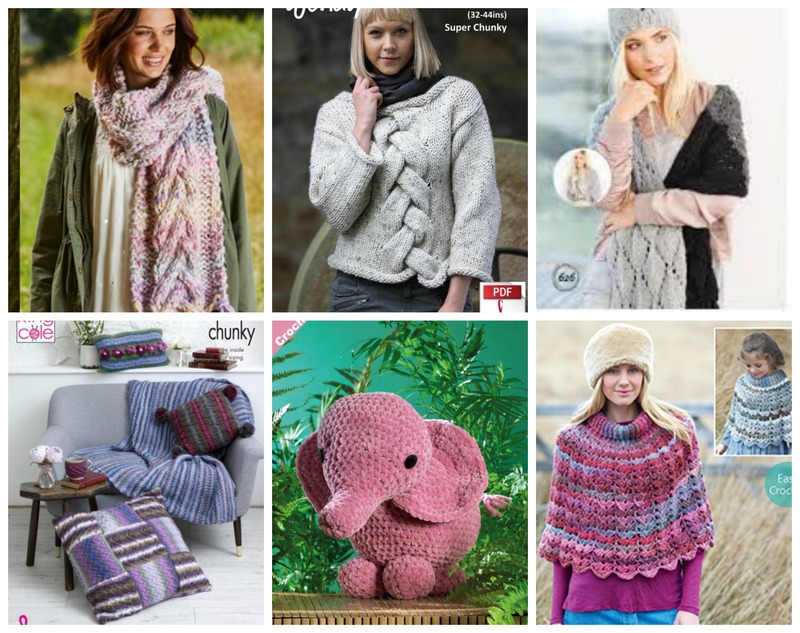 Simple cables can be very striking in chunky yarns as with the scarf and sweater]; Lace isn’t just for skinny yarns as in the wrap (top right) and poncho; Homewares like the cushions and crochet toys like this pink elephant are quick fun makes with an impact. Needle choice The needles and hooks for chunky yarns are quite thick – 6mm diameter and larger – which means they can feel heavy. So it is important to think about what needles/hook you use and whether you might be more comfortable with acrylic rather than metal for example. If you are knitting a large chunky project you might also what to think about working in rows using a circular needle because this will distribute the weight of your project, rather than gathering it all on one straight needle. Tension Yes, we do regularly tell you to make a tension square but it is particularly important with chunky yarns. Many people find that when using thicker wool and large needles that their tension can vary much more than using say 4ply. So take your time and check your tension, especially if you are making a garment or a hat. A warm head is not that much of an advantage if your hat constantly slips down over your face. Hand Fatigue Starting a chunky project may be one of those times when even the completists among us might consider having two projects on the go. Working with big needles/hooks can be hard on the hands and wrists, especially if you have any problems like arthritis. Have a project in a finer yarn such as DK that you can swap to regularly which will give your hands a break – it can feel like giving your hand muscles a warm down. 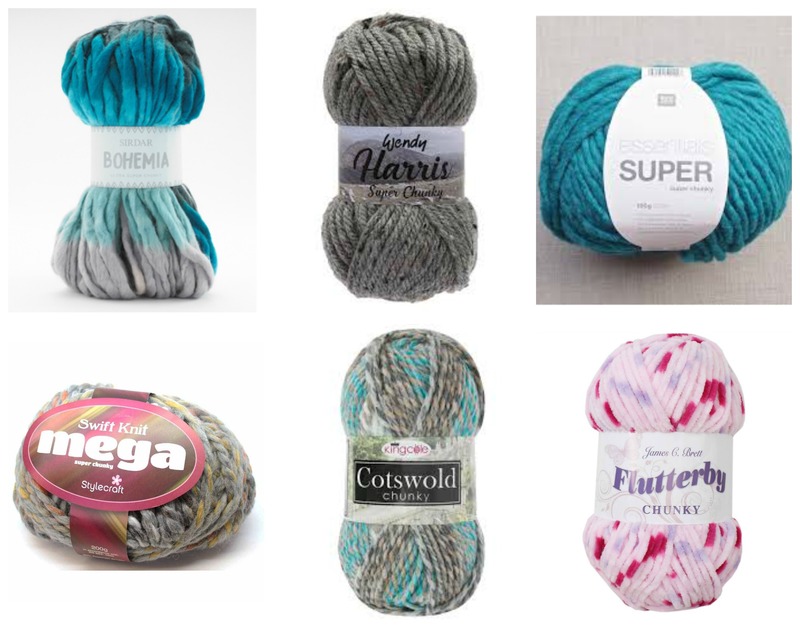 Over all knitting with chunky yarns is fun and provides (almost) instant gratification so we’ve picked out a few yarns to get you started.